I have had to pass a drug test several times to keep my current job. Most people have to pass a drug test when being hired. Welfare recipients are being employed by us taxpayers to take care of their children. That's a job and they should have to pass a drug test like the rest of us. The Alabama Legislature has approved a bill to drug test welfare applicants who have had drug convictions within the last five years. 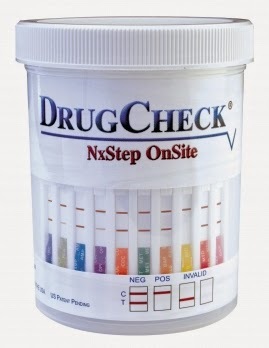 A person could keep their benefits after one positive drug test. After a second positive, the person would be ineligible for one year. The recipient would be permanently ineligible after a third positive drug test. Republican Rep. Kerry Rich told lawmakers he wanted to make sure people weren't using benefits to buy drugs. Opposed lawmakers said the tests would cost the state money but accomplish little. The state already bans people with felony drug convictions from collecting benefits under Temporary Assistance to Needy Families.